Yeah,this season had some great episodes and better voice actors.But the flash animation,I just hate it.However, in the final episode of the season "So Funny I Forgot To Laugh/The Best Day Ever" seemed to have improved animation,so hopefully it'll continue to improve throughout season 17. The season has been improving in terms of animation quality. Got to see a little more of "The Last Tough Customer / Brain's Chess Mess" the other day... am I imagining things, or does Fern's voice sound different too? It still sounds like Holly G. Frankel, but much higher than usual. Sorry for double post! So someone finally uploaded So Funny I Forgot To Laugh on YT. Now I know I might be reading too much into a kids show, but am I the only one who thought this episode wasn't just about bullying, but also about deeper social issues pertaining to gender? This is what I personally took away: Sue Ellen's outfit represents a female's choice of wardrobe. Arthur calling Sue Ellen a dog and making those jokes could be compared to a guy calling a girl a (b-word) or even (s-word) for how she expresses herself. Then there's Arthur saying "she should apologize to ME"; maybe that wasn't necessarily trying to come across as male privilege but I was reminded of it. Then he pens that apology letter to Sue Ellen that blames her for "overreacting" and not taking a joke; that's victim-blaming, which tends to happen in cases of denigration of women (i.e. "if she hadn't worn such revealing clothing, then he wouldn't have done it" - speaking of which, I'm surprised Arthur didn't include in the letter that if Sue Ellen was so offended then she shouldn't have worn the sweater). Anyway, I don't know whether the writers intended it that way or not, but it sure was something to think about. -Buster's reaction to Arthur calling him weird was hilarious. I'm going to have to agree with Snowth Woogle here and say that you are getting a little deep into it. I think that the two topics just happen to have quite a few characteristics in common. I'm not saying that the producers were unaware of this, but I don't think they were actively making the episode around that theme. I really did not like "So Funny I Forgot To Laugh". Remember, Sue Ellen stood up to Binky Barnes in "Bully for Binky" way back in season 1, and she also wasn't afraid of anything until "What Scared Sue Ellen?" in season 3. This new episode has her really out of character. I would have liked to see Fern being bullied, rather than Sue Ellen. Or better yet, bring back Jenna and have her get bullied. Also, why was Arthur the bully? Why not a Tough Customer? Maybe it was in effort to show that ANYONE can be a bully, and not realize it at first. That's probably smart of the producers to portray. It's pretty common for bullies to not have stereotypical bully looks. I also disliked the episode, it was probably my least favourite of the season. I understand that it's an important message and I could see where the writers were trying to go with it, but I didn't think it was done well. Arthur wasn't the right choice to be the bully, and the scene where he sends Sue Ellen that email is just way too out of character. I know he was mad and he did regret it immediately afterwards, but I think the fact that he went through with the idea at all just doesn't work. He's trying to make us believe that his side of the story could be legit, and that Sue Ellen really could've just been overreacting to some jokes that are intended to be harmless, but then he resorts to writing and sending that email, and when you go and do something like that, that's pretty nasty. And I also couldn't help but think that Sue Ellen was a bit out of character here. 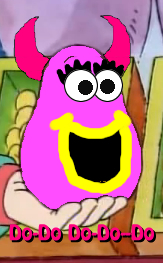 When Binky goes around bullying others in "Bully for Binky" and when Brain threatens to destroy George's gum dinosaur in "Desk Wars", she stood up to both of them. So why not stand up to Arthur? I guess it could be argued that because Arthur is usually a nice guy and she's usually good friends with him, she wouldn't know what to do when suddenly he seems to turn against her, but it still didn't quite feel in-character to me. I have to agree that Fern would've been a better choice than Sue Ellen. It might sound horrible to say so since she's my favourite character in the show, but as Fern is sensitive I think she would be an easier target, and if bullying got severe and persistent it's understandable that it would get to her. To quote a message, be sure to not use the quote button above the main post. Press reply at the bottom of the page, then scroll down past the message editor. Then, use the "Inset Quote" button above those posts. Now that I think about it, Arthur may not have been a good bully choice. 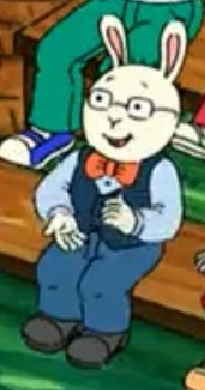 While a bully can be anyone, Arthur has always been too anti-bully throughout the entire series to suddenly be a bully in an episode. He did act seriously out of character here. Yes, I think the entire world can agree that Arthur was completely out of character in that episode. Now I just can't decide which was worse: Arthur in "So Funny I Forgot To Laugh" or Francine in "Arthur's Tooth." I agree, Francine bullying Arthur over having not lost a baby tooth is totally something she would actually do, but Arthur bullying Sue Ellen over her ridiculous new sweater is like an alternate universe. I thought that I may not have gotten everything from "So Funny I Forgot To Laugh," so I watched it on YouTube. The first time Arthur calls Sue Ellen a sheep dog (not sure if he means "sheepdog" as an adjective or sheep dog as in a breed) in the hall, I can almost see Arthur doing this in a normal episode, but it already seems a bit out of place for him. However, by the time he calls her a sheep dog a third time in the cafeteria he should have already dropped the joke. And as if it weren't enough for Arthur to keep calling her a sheep dog, he decides to keep escalating the joke until it starts to become seriously annoying. Later in the hall, when Arthur tapes a drawing of Sue Ellen as a sheep dog on her locker, I thought that he would be forced to realize that he had taken the joke too far. When Mr. Ratburn intervienes, I also laughed to myself at how out of place this was in the series. Not an adult in the school had helped Arthur when the entire school was laughing at him in "Arthur's Tooth" and "Arthur's Eyes." Moving on, I can almost see how Arthur would think that Sue Ellen had over reacted a bit, as she had been bullied for less than a day. Arthur was bullied nonstop for four days in "Arthur's eyes" and three and a half in "Arthur's tooth." And in those "Arthur's Eyes," everyone was laughing at him, even Buster. Worse yet, Sue Ellen even laughed at Arthur profusely when his baby tooth wouldn't come out. 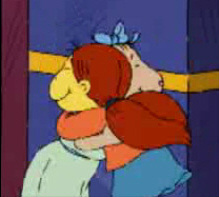 Following this sudden sensitivity, Muffy and Francine have suddenly become anti-bullying activists, yet they were the main antagonists in "Arthur's Eyes" and "Arthur's Tooth." Lastly, I feel like I need to give Arthur's E-Mail its own paragraph. He knew that he needed to apologize to Sue Ellen, if for no other reason than to appease Sue Ellen enough to discuss the issue with her. Yet instead of sending her an apology, he Photoshops a sheep dog head onto her body (which he is pretty good at by the way). Personally, that's where I drew the line and decided that this episode should have been rewritten before being produced. Then Sue Ellen wants to switch classes. At this point I can kind of understand, as Arthur has taken this too far. Yet she decides to drop all of her resent for Arthur when he stops her in front of the school and gives her a ten second apology. TL;DR: Arthur was a big meanie. He can also handle a lot more bullying than Sue Ellen. Sue Ellen and Francine are offended by bullying form people that they bullied relentlessly in the past. ^ Good points. There was also that part in "Arthur Cleans Up" where Sue Ellen confronts Arthur about her mom making her join Arthur's cleaning crew. While it doesn't really count as bullying, Sue Ellen actually shoves Arthur during this scene, all because she might have to miss a martial arts class. And I thought Sue Ellen was supposed to care for the environment. I watched "So Funny I Forgot to Laugh; The Best Day Ever" again today, and Arthur had me so annoyed at how extremely and completely out of character he was, that I actually wanted to reach into the TV and give him a good smack to snap him back into character. And it didn't really occur to me until now, but I agree with you guys, I nearly pulled my hair out at Francine and Muffy's hypocrasy... I mean really, that like Muffy said, "If I had hurt someone's feelings, I would write them a heartfelt letter telling them I'm sorry"... gimme a break!